We’re four days into the New Year. Did you make any resolutions? If not, may I suggest you resolve to discover some new mystery authors this year? What? You’re reluctant to give a new author a try because too often by the end of the first chapter (or even sooner) you realize you don’t like the book and have no desire to continue reading? I’ve been there. Sometimes I keep reading, hoping the book will get better, but it rarely does. It’s so frustrating to have wasted both time and money on a book I didn’t like. If you know anything about me, you know I have neither time nor money to waste. After too many negative reading experiences some readers wind up swearing they’ll only read their tried-and-true favorite authors, never again giving an unknown-to-them author a try. However, when you only stick with authors you know, you never experience the joy of discovering a new favorite author. 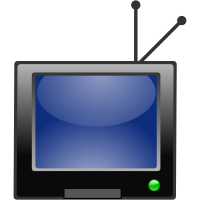 Think about what you could be missing! I have the perfect solution, and it will only cost you a mere .99 cents. And that’s for not one but ten full-length mysteries. 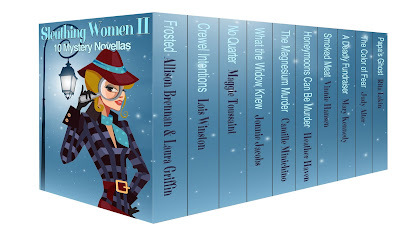 That’s right—ten books by ten different authors for less than a dollar. Invest another .99 cents, and you can try ten companion novellas, eight by the same authors of the mystery novels, plus two additional authors. 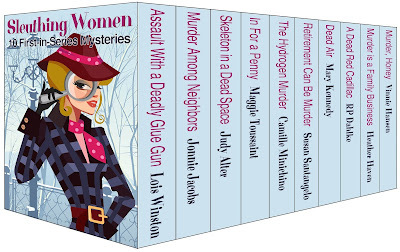 Sleuthing Women: 10 First-in-Series Mysteries features works by authors Lois Winston (she’s the author who writes about me! ), Jonnie Jacobs, Judy Alter, Camille Minichino, Mary Kennedy, Maggie Toussaint, Heather Haven, Susan Santangelo, RP Dahlke, and Vinnie Hansen. Each full-length mystery is the first book in an ongoing series. 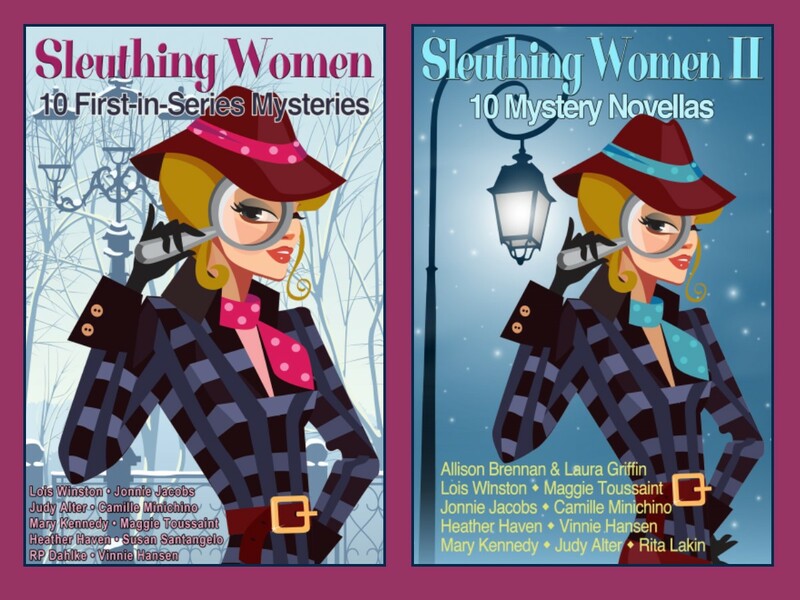 Sleuthing Women II: 10 Mystery Novellas features companion stories to existing series by the writing team of Allison Brennan and Laura Griffin, Lois Winston, Maggie Toussaint, Jonnie Jacobs, Camille Minichino, Heather Haven, Vinnie Hansen, Mary Kennedy, Judy Alter, and Rita Lakin. 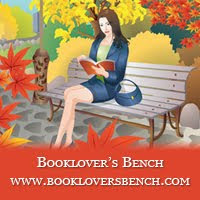 So resolve this year to discover some new favorite authors. If you find you don't care for some of the stories in the collections, move on to the next. Taste is subjective. However, you never know. Even if you only like one book in each set, that author just might become one of your all-time favorite authors. What the Widow Knew, A Kali-O’Brien Novella by Jonnie Jacobs —Attorney Kali O’Brien takes on the case of a young woman accused of murdering her much older, very rich husband. As evidence mounts and other possible suspects are eliminated, Kali’s doubts about her client’s innocence grow. Meanwhile, Kali is also grappling with her feelings for longtime boyfriend Detective Bryce Keating. 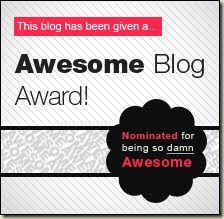 Great blog, Anastasia. Many thanks. I love bundles! 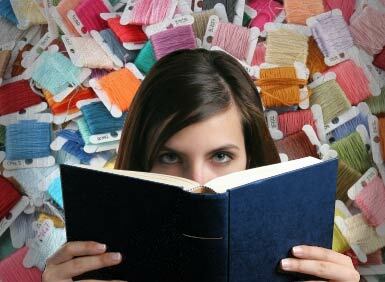 Not only is it an opportunity to try new authors, but there are so many reads right at your fingertips!!! Thanks for stopping by, Angela! Stay warm today! A great way to start the new year. Thanks, Lois! I love a bargain, and the idea of a sampler pack of novels. Thanks. Thanks for posting this, Lois. Off to share. Hey, Anastasia! Shared this on FB! 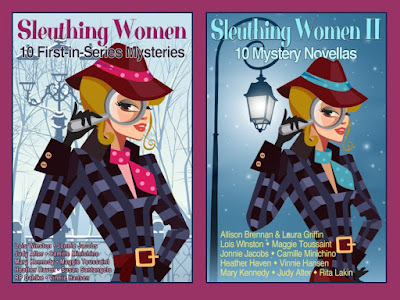 Thanks for this feature of the Sleuthing Women anthologies. 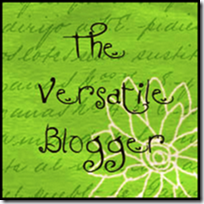 Thanks for the share, Heather!